Happy Tuesday! This past weekend, I checked an item off of my fall bucket list by going to our local fall festival downtown. I have been to this particular fall festival almost every single year since I was a child. It's a fall tradition that I always look forward to because of the amazing food and the even more amazing handmade items that are sold by local artisans. I absolutely love purchasing handmade items because I am supported someone who is pursuing their passion and embracing their gift of art! Since I am typically an online shopper, I always head to Etsy to find handmade goodies like this beautiful Leopard Print Foldover Clutch from D. Moné Handbags. This bag was hand crafted with love and custom made for me, unlike other bags that are mass produced in a giant factory. You can also find the owner, Deja, on Instagram to check out more of her handmade creations. Use my code EMILYSTYLES for 20% off your purchase of $15 or more! 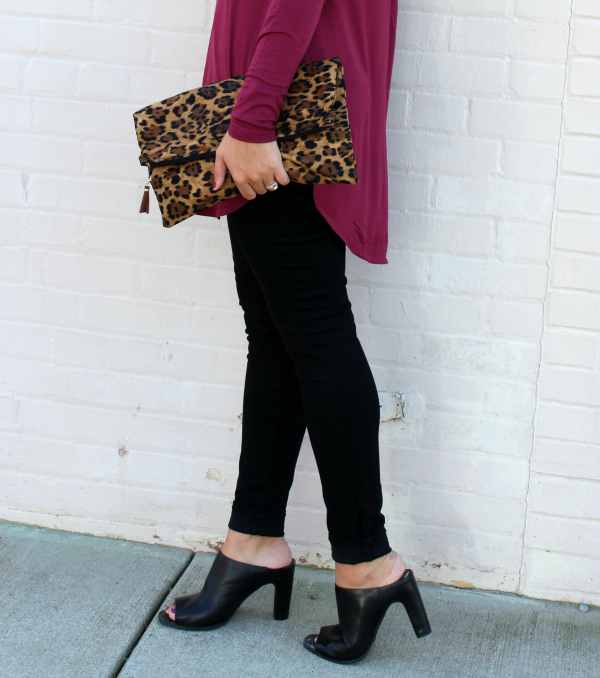 I styled my leopard clutch with a wine colored tunic, black skinny jeans, a simple necklace, and black mules for the perfect fall date night look. 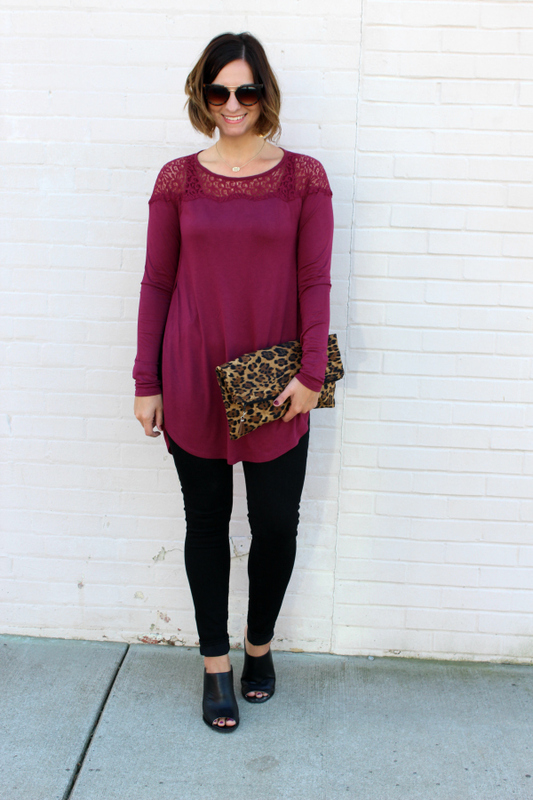 Leopard is always a neutral in my book and I love how it pairs with this wine color! 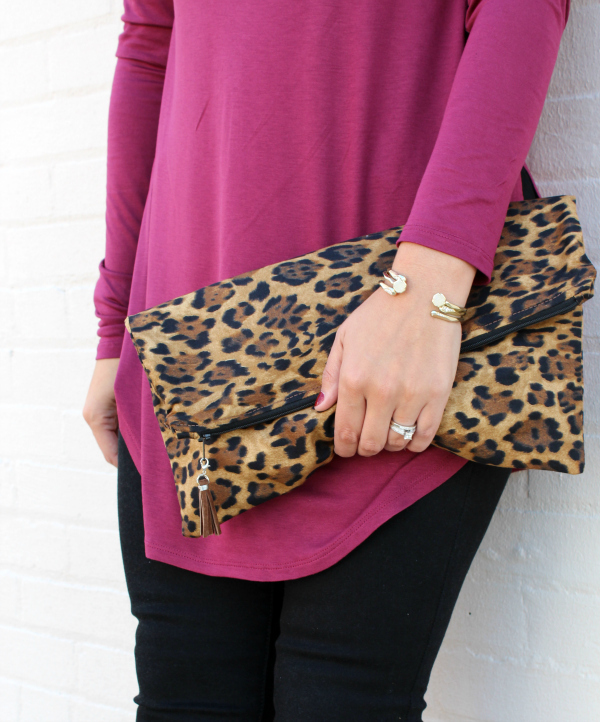 I also plan to style this pretty clutch with some fall floral for a fun pattern mix, you know since leopard is a neutral and all. 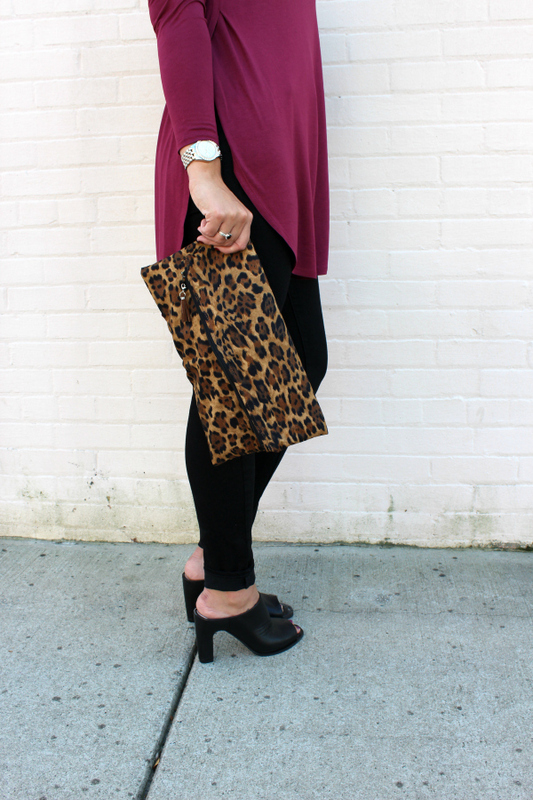 I am sure this bag will be on heavy rotation this season because cool weather makes me want to wear leopard on repeat! I love this look! Those shoes and clutch are amazing!